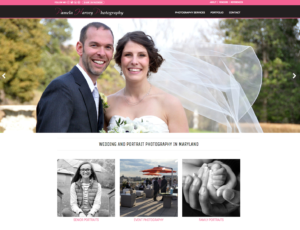 We are excited to announce the launch of a redesigned website for Pamela Harvey Photography. Initially launched seven years ago, the site was due for an updated design and improved SEO. The new site features large slide shows to showcase amazing photography work and utilizes responsive design to ensure a great experience on all devices. Based in WordPress, a custom theme was developed along with several custom plugins to manage testimonials and vendors.